We can provide tableware in various styles/themes & colours. Little guests catered for too ! A buffet supper for evening guests. Hog Roasts are very popular . 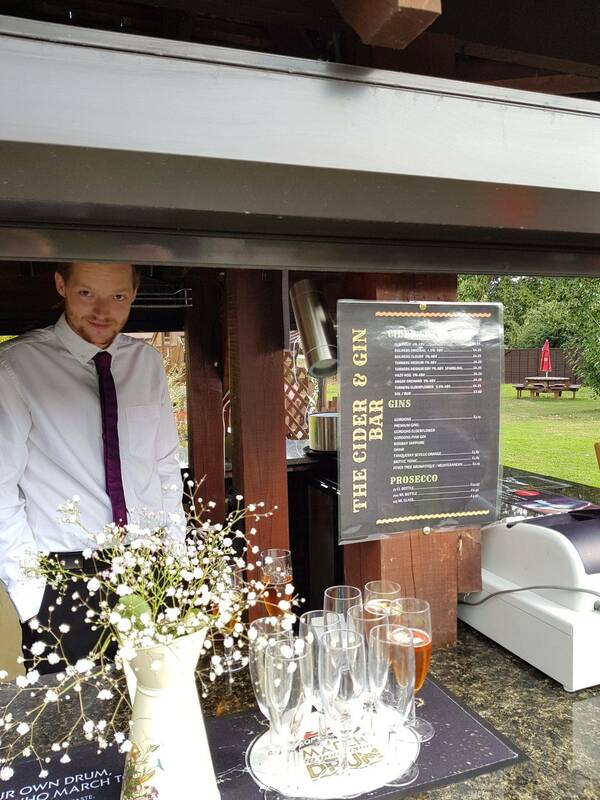 Outside Bar stocked to your requirements. 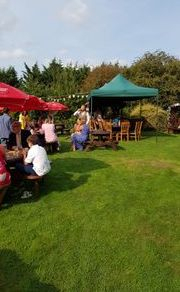 Here at The Hawkenbury Inn we can accommodate from a small party of 18/20 in our cosy old cottage restaurant, to a full wedding breakfast for 90 guests , offering a dance floor, disco and even live cabaret entertainment if you choose, or a buffet / BBQ for upto 150 guests. Phone to check availability for your preferred date . 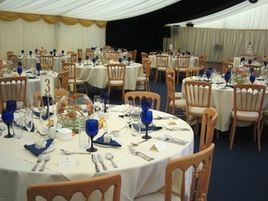 A popular combination is 40-70 full day guests and additional 40+ for evening celebrations. 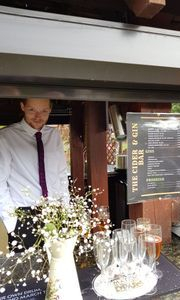 In the summer months our fully stocked outside bar is very popular, making best use of the gardens. 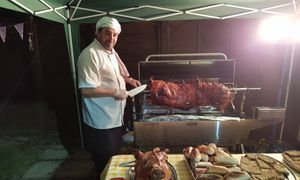 Our Hog Roast adds to the spectacle and has the finest crackling to boot. Our children's play area keeps the children occupied whilst parents can relax. 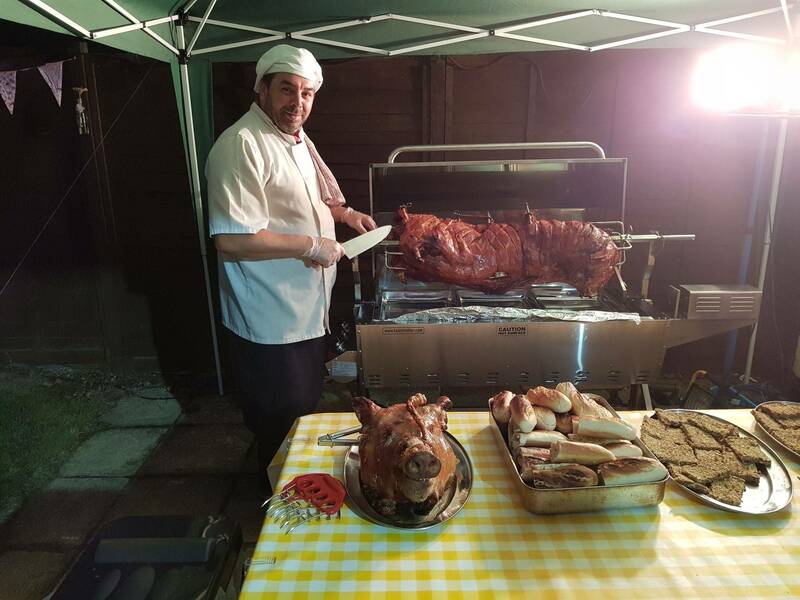 The selection of food on offer is fresh and locally sourced and prices can be adapted to suit all pockets, from a basic fish & chip supper to a full 7 course wedding breakfast ... the choice is yours. 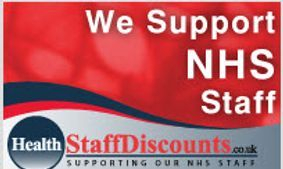 So why not pop down and discuss all your big day dreams with us...we don't bite!!! We can offer a full wedding planning service to assist you with preparation of your big day and can offer you many choices in contacts for the likes of Flowers, Cakes, Dresses, Balloons, Cabaret, Disco as well as expert advice on choosing your food selection. Three luxury en-suite bed rooms available and more accommodation can be arranged locally.